Kim Jong Un’s latest ballistic missile test flew 10 times higher than the International Space Station and twice as high as any satellite in low-earth orbit, according to South Korea’s military. “If we extrapolate this test we think it would give North Korea the capability to reach Washington, D.C.,” according to John Nilsson-Wright, a senior research fellow at London’s Chatham House think tank. However, to build a weapon capable of hitting the U.S. a long-range rocket is just one piece of the puzzle. North Korea would also need to develop a reentry vehicle robust enough to protect the warhead from the intense heat produced by traveling through the Earth’s atmosphere at speed. It also needs to miniaturize a nuclear weapon small and light enough to fit on the missile without reducing its range. Boasts aside, it hasn’t publicly demonstrated either of these. “We still don’t know the ability of North Korea to put a warhead on a long-range missile and fire it with accuracy,” Nilsson-Wright said. The North said the missile tested Tuesday was tipped with a “super-large heavy warhead” but analysts said there’s no way to know for sure. “We just don’t know what was on the front end of this thing,” said Tom Plant, director of the Proliferation and Nuclear Policy program at the Royal United Services Institute, another London-based think tank. 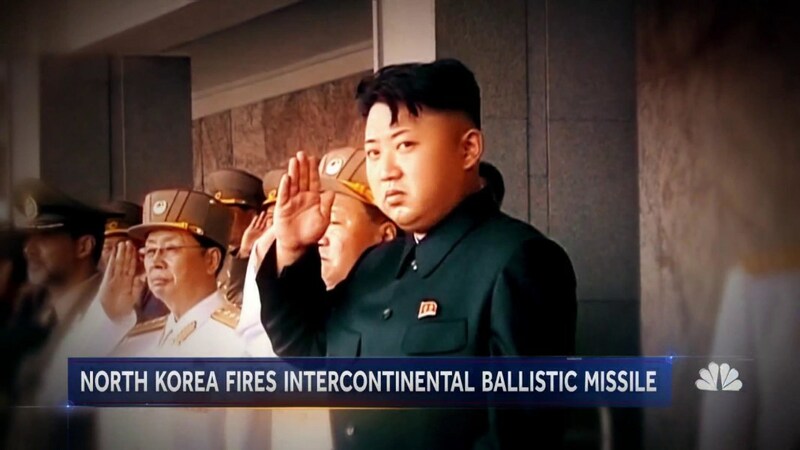 Whatever North Korea’s current capability, Tuesday’s launch should come as no surprise to the international community. The country has repeatedly stated its aim of building a nuclear weapon capable of hitting the U.S. But most analysts say that even if it achieved that goal it would likely not want to start using these weapons unless it was attacked first. Rather, according to many experts, it wants to acquire nukes as a deterrent against the U.S. trying to topple Kim’s regime. North Korea has said in public statements that it wants an official end to the Korean War. The conflict was halted by a 1953 armistice but no peace treaty has been signed. It also wants nothing short of full normalization of relations with the U.S. and to be treated with respect and as an equal in the global arena. Editor’s note: This is a breaking news story and is being updated as new details are learned. Gunfire rained down onto Sierra Street from the eighth floor of The Montage condominiums in downtown Reno on Tuesday night. The shooter also barricaded himself and a hostage inside an apartment. That suspect died shortly after being taken into custody after an RPD and Washoe County Sheriff’s Office SWAT team breached the room. RPD Deputy Police Chief Tom Robinson said the suspect’s motive is unclear at this time. It’s unknown if the suspect was shooting at anything or anyone in particular but Robinson said there is one injury related to the incident. The woman who’d been held hostage has no reported injuries. “She’s obviously traumatized and shaken up,” he said. Robinson couldn’t confirm the exact make and model of the gun the suspect used, but he said it was a shoulder-fired rifle with 20 to 50 rounds of ammunition. The suspect fired bursts of five to eight shots at a time, with gaps between bursts lasting minutes. Officers said gunfire came from the building for roughly a 30 minute period. Dozens of police and emergency vehicles filled the blocks surrounding the Montage. Officers in the intersection of Fourth and Sierra streets were barricaded behind their vehicles, assault rifles drawn. As of now, it can only be confirmed that the suspect was firing at Sierra Street. Robinson said officers on the ground at the time of the shooting saw “sparks and spatter” coming off the asphalt as bullets struck the ground. He said investigators will check the surrounding areas and buildings for signs of additional bullet holes. Vick Wowo, an 18th-floor resident of The Montage, heard gunshots and a loud bang vibrate through the building. “I was the most shook when I heard the gunshots,” Wowo said. “I don’t have a gun, don’t own a gun, never shot a gun so hearing that four times was kind of nerve wracking. He told his girlfriend Becky Moser to hide in the closet while he hid behind the couch and peeked out the windows facing the Whitney Peak Hotel. From his condominium, he could see three police snipers on the hotel roof, pointing down toward the eighth floor. Knowing they were ten floors above the shooter made them feel a little safer, he said. “To be honest, the most comforting element was being made aware through the intercom system,” he said. Montage security sent a message to all residents telling them to stay in their units or avoid the building. Wowo said his biggest fear was multiple shooters, but since the chaos ended, he feels relieved. As the SWAT team worked its way up to the eighth floor, it evacuated as many of the residents it could but many were told to shelter in place. Jill Flanzraich lives on the eighth floor of the Montage. She first heard gunshots when she was watching TV. “Foolishly, I opened the door. The SWAT team was there and told me to get back inside,” said Flanzraich in an interview with the RGJ. She spent the next hour hiding in a closet in her bathrobe talking with her daughter on the phone. At about 8:20 p.m. there was a loud explosion and the fire alarms went off, Flanzraich said. Flanzraich said she questioned whether she should leave her apartment but worried the shooter might be out there. The police officer walked her through a smoke-filled hallway and down the stairs. Flanzraich made it to the lobby where she joined the other residents who had been evacuated. Karl Fiebiger, a seventh-floor resident of The Montage, quickly evacuated his condominium after police told him they had secured the seventh, ninth and ground floor of the tower. Police told him the shooter was on the eighth floor and they worried stray bullets could penetrate windows and floors. He grabbed shoes, a jacket, his laptop and a photo of his parents, then headed for the elevator. He reached his car in the parking garage and drove to a friend’s house in south Reno. Fiebiger said he feels more anxious than scared and it took a while for the reality of the situation to set in. “I guess this is the country we live in now,” he said. Robinson said little is known about the suspect or his hostage, but described him as being in his mid-to-late 20s. It’s also unclear whether they were residents of the Montage. Mike Pavicich, in town on business from Las Vegas, was walking down Fourth Street in front of the Eldorado when shots first rang out. Pavicich’s wife was a nurse who was called in to work after Stephen Paddock, 64, opened fire on a music festival from the 32nd floor of the Mandalay Bay Casino. “When you heard it’s coming from above it reminds you of the guy shooting from Mandalay Bay … it’s scary you know? This is the same kind of town,” Pavicich said. Paddock, who owned a home and briefly lived in Reno with his girlfriend Marilou Danley, also owned a condo at The Montage until December 2016. Robinson said police don’t yet know if this was a copycat incident of the Las Vegas shooting, but he said officers suspect that mental issues might have contributed to the shooting. He said radio chatter during the incident suggested that the suspect may have been seeing things. For about fifteen minutes, Fiebiger said he heard multiple gunshots inside the building and saw broken glass and windows. 9 p.m. update: Deputy Police Chief Tom Robinson said the shooter is dead. 8:45 p.m. update: Before the shooter was taken into custody, he had been firing from an east-facing window of the Montage apartment complex onto Sierra Street below. It’s unclear if the suspect was shooting at anything or anyone but he had barricaded himself in the 8th floor apartment with a woman that officers are considering a hostage. The woman is uninjured, but the suspect was shot. Officers from RPD and Washoe County breached the apartment. Aside from the suspect, Robison said at least one other person has been injured in the hand. Robison said little is known about the suspect or his hostage, but described him as being in his mid-to-late 20s. It’s also unclear if they were residents of the montage. Residents inside the montage at the time of the shooting were advised to shelter in place. He did say that mental issues may have been a factor. Radio chatter during the incident alluded that the suspect may have been seeing things. Jill Flanzraich lives on the 8th floor of the Montage. She first heard gunshots when she was watching TV. At about 8:20 there was a loud explosion and the fire alarms went off, Flanzraich said. 8:31 p.m. update: Deputy Chief Tom Robinson of the Reno Police said a team of officers went to the 8th floor of the apartment building to engage the shooter. Robinson said the shooter is a young adult. He said he doesn’t think the shooter suffered life-threatening injuries. Residents were evacuated while others sheltered in place, Robinson said. It may take some time to get residents back into their rooms. Police will keep roads closed in downtown area for the time being. 8:30 p.m. update : Police said the suspect has been detained. 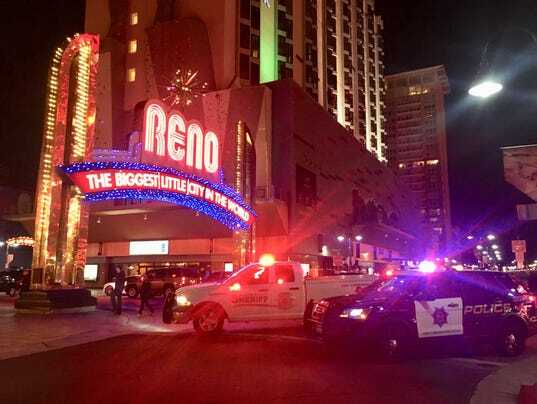 8:15 update: Dusty Wunderlich, a resident of the Montage in downtown Reno, said he started hearing shots being fired when he got home. Wunderlich said he heard shots fired around 6:45 p.m.
A suspect is barricaded inside the Montage. A SWAT team is staging. Officers are staying behind their vehicles facing towards the Montage apartment building with assault weapons drawn in the intersection of Fourth and Sierra Streets. Mike Pavicich, in town on business from Las Vegas, was walking down fourth in front of the Eldorado when he heard gunshots ring out. He said he ran into Frank Korshoff near the intersection of Sierra and fourth. Frank had been on top of the Eldorado’s garage when shots rang out. Pavicich ‘s wife was a nurse who was called in the night of the Vegas shooting. He was waiting to meet a friend to go climbing. He looked over the edge of the garage and saw officers with rifles drawn heading towards the Montage. He was ushered out of the garage and has been sheltering at the Eldorado since. There’s an active shooter in the montage apartments. Trooper Chris Kelley with The Nevada Highway Patrol said shots have been heard from the apartment complex for the last 20 minutes. Dozens of police cars are surrounding the complex with ambulances and swat vehicles. 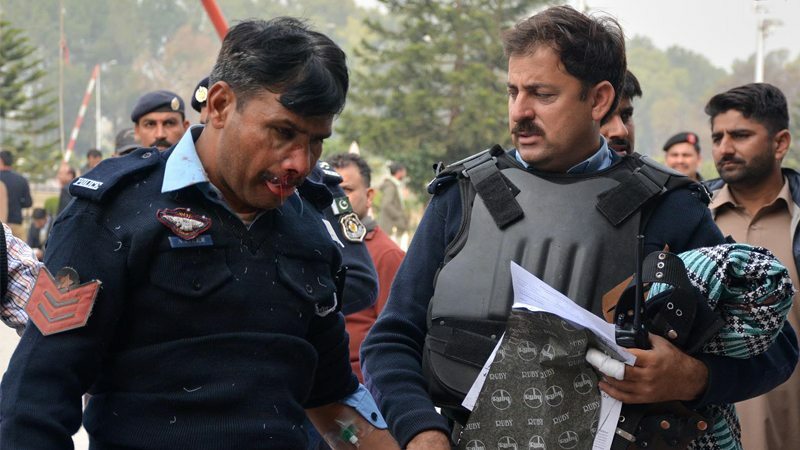 ISLAMABAD/LAHORE/KARACHI: The administration’s crackdown on protesters camped at the Faizabad Interchange on Saturday resulted in the death of a policeman and injuries to more than 200 person, while its reaction in other cities prompted the authorities to halt the operation to avoid human casualties. According to the information obtained by Daily Times from the Pakistan Institute of Medical Sciences (PIMS) Islamabad, Federal Government Service Hospital (FGSH) Islamabad and Benazir Bhutto Hospital (BBH) Rawalpindi, as many as 195 persons were brought in after the launch of the operation by police. Around 2,000 followers of Tehreek-e-Labaik Ya Rasool Allah (TLY) led by Khadim Hussain Rizvi continued their protest in favour of their demands, mainly the resignation of Law Minister Zahid Hamid. Despite repeated attempts of dialogue and giving them warnings, Khadim Hussain Rizvi-led protesters did not surrender. Eventually, the Islamabad administration – in compliance with court directives – launched the operation against them. According to reports, 162 injured had been brought to PIMS with different injuries until the filing of this report. Of them, 110 were security officials – 61 personnel of the Islamabad Capital Territory (ICT) and other law enforcers and 48 of Frontier Constabulary (FC). The remaining 52 injured were protesters and other citizens, including some journalists. PIMS Vice Chancellor Dr Javed Akram told this scribe that all of those admitted had minor injuries and the hospital discharged many of them after giving treatment. To a question, he clarified that no one had died at the institute. Similarly, 17 injured had been shifted to FGSH and most of them were police officials. According to the hospital sources, all of the injured had been discharged after provision of necessary treatment. “None of them was in a life threatening situation,” said a duty doctor, wishing anonymity. Meanwhile, 39 of the injured were shifted to BBH Rawalpindi, of which four were police officials. However, sources said that four people died at the hospital, as they could not survive the bullet injuries to their heads. They identified the deceased as Abdul Rahman of Gujjar Khan, Janzeb of Tanch Bahta and Zuhaib of Dhoke Khabba, while one of them age between 16 and 17 years could not be identified until the filing of this report. According to details, around 9,000 security officials, including those of FC, launched the crackdown on protesters. Talking to the media before the operation, Assistant Inspector General (AIG) Asmatullah Junejo also hinted at the planned action “any time” soon. “Army called in to control law and situation in capital,” official Pakistan TV reported, citing an Interior Ministry notification. 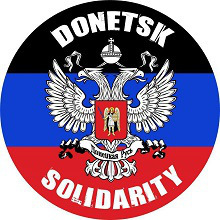 Hours later, the ministry announced to stop the operation. Talking to the state-run television channel, Interior Minister Ahsan Iqbal said the operation had been halted to avoid loss of human lives. The minister also claimed that the religious parties protesting in Islamabad had ‘contacted India’, and that the government was investigating the matter. “They are not simple people. We can see that they have various resources at their disposal. They have fired tear gas shells (at security forces), they also cut the fibre optic cables of cameras that were monitoring their protest,” Ahsan Iqbal added. Over in Karachi, at least 32 people were injured in different incidents after protests sprung up in response to the government’s operation against protesters in Islamabad. According to hospital sources, some 26 injured were brought to the Jinnah Postgraduate Medical Centre, while six others were brought to the Civil Hospital, Karachi, adding that most of the victims had gunshot wounds. On the other hand, the police also claim to have arrested more than 16 miscreants for creating law and order situation at Star Gate. The city wore a deserted look on Saturday after the crackdown of security forces at Faizabad, while protesters had staged sit-ins in around 36 locations. A massive traffic jam was also reported on various roads of the city following the sit-ins. Star Gate and the Nursery areas remained the most violent spots where scuffle between the police and violent mob continued for hours. The protesters attacked the police with stones while the police resorted to aerial firing, tear gas shelling and baton charge to disperse the protesters. Some 32 protesters were wounded during clash, particularly on Star Gate, while the police claimed to have arrested more than 18 miscreants with about 40 motorcycles for attacking the police and disturbing law and order at Star Gate. During the scuffle, Memon Goth Police Station SHO Gulzar Khan and Constable Sabir sustained bullet injuries near Star Gate as well. Extra contingents of the police force reached the site and scuffle between the police force and the protesters began when the police tried to stop them from blocking the flow of traffic. The protesters also set a truck on fire on Natha Khan Goth neighbourhood of Shah Faisal Town, while a passenger bus was also partially torched by the protesters. The sit-ins also caused a massive traffic jam, as bumper to bumper traffic was witnessed in various parts, particularly where the sit-ins were held. The protesters also forced the petrol pumps to shut down in various areas of the city, while multiple markets in the city, including Bolton Market, Ranchore Lane, Tariq Road, Saddar and Electronics Market, were also forced to close. The train service was also affected after the protesters blocked the railway track at Malir Halt, which affected at least ten trains, while hundreds of travelers missed their flights as they were unable to reach the Jinnah International Airport, Karachi, due to the protests. Published in Daily Times, November 26th 2017. (ANSAmed) – BEIRUT, NOVEMBER 21 – The Syrian government on Tuesday lashed out at the Arab League for the final declarations of a meeting held Sunday in Cairo, in which the body condemned Iran for destabilizing policies in the region and the Lebanese Shia Hezbollah movement, which it accused of terrorism. A Syrian foreign ministry source was quoted by state-run news agency SANA as saying that the Arab League has become ”a tool steered by the money of the oil sheikhdoms against the interests of the [Arab] nation and its existence and common security in implementation of the dictates of the nation’s enemies”. 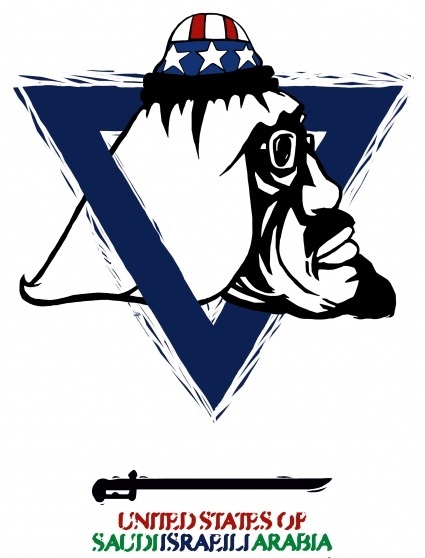 ”Those who have provided all forms of support to the Takfiri terrorism and are practicing genocide against the brotherly Yemeni people don’t have the credibility to talk about the Arab national security as they are the real threat jeopardizing the interests of the nation and the Arab national security,” the source continued. After calling the ‘Arab Springs’ a ”conspiracy”, the Syrian foreign ministry source claimed that the Arab people ”know very well what Hezbollah and Iran have done in the course of confronting the Takfiri terrorism and know the sacrifices they have made to foil this conspiracy and resist the Zionist expansionist aggression”. 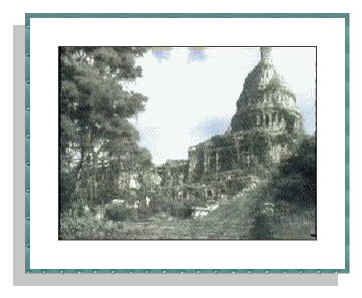 (ANSAmed). BEIRUT: Prime Minister Saad Hariri Friday met with the ambassador of the European Union and of Russia, who stressed the importance of the Lebanese government functioning without external interference. After meeting with Hariri at his Downtown residence, Russian Ambassador Alexander Zaspekin said that the Lebanese government and state institutions must be “effective in the social and economic fields in preparation for … upcoming parliamentary elections,” a statement from Hariri’s office quoted him as saying. The Russian ambassador added, in response to a question, that Russia was working within the framework of the International Support Group for Lebanon to guide the country to self-sufficiency, saying that concessions would have to be made by all parties. “As Speaker Nabih Berri has said, each side must concede as part of the road to reach common ground,” the ambassador reportedly said. France has played a leading role in easing the political crisis following Hariri’s resignation from the premiership on Nov. 4, engaging in high-level diplomacy with Lebanese and Saudi officials. Egypt has reportedly played a lesser role. In his meeting with EU Ambassador Christina Lassen, Hariri reportedly discussed the latest developments in the country and EU-Lebanon relations. 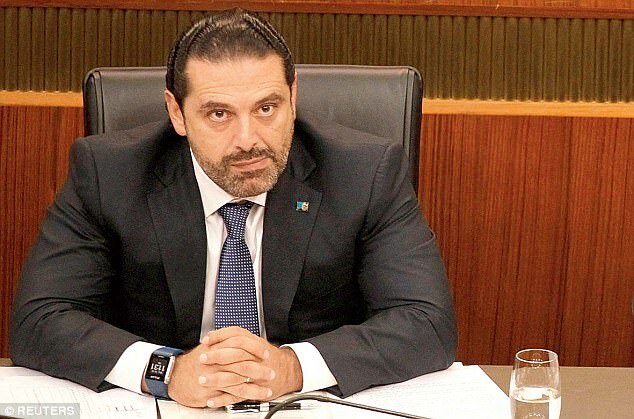 After the meeting, Hariri’s office reported that Lassen welcomed Hariri’s return and expressed hope for “constructive dialogue” between the various parties, which takes into account the country’s stability, unity, territorial integrity and sovereignty. “Lebanon’s independence and stability is a priority for the EU amid regional unrest,” Lassen was quoted as saying in a statement. She also reportedly affirmed the EU’s support for parliamentary elections to be held in spring, in addition to the Lebanese Army and security agencies. Hariri also met with Philippe Lazzarini, the Deputy United Nations Special Coordinator for Lebanon, and discussed the U.N.’s activities in Lebanon with him. The prime minister also reportedly received a cable of congratulations from Palestinian President Mahmoud Abbas on the occasion of Independence Day, “in which he wished the Lebanese people greater stability and prosperity,” the statement said. Local media reported that Hariri may have held other meetings Friday on the sidelines. The flurry of meetings comes two days after Hariri returned to Lebanon, following an 18-day absence from the country, at the outset of which he resigned from the premiership. The Nov. 4 resignation from the Saudi capital Riyadh threw Lebanon into political crisis while sending shock waves through the region. However, major political blocs have expressed optimism over the last few days. EL-ARISH, Egypt — Militants bombed a Sufi mosque and fired on worshippers in the volatile Sinai Peninsula during Friday prayers, killing at least 200 people in what appeared to be the latest attack by the area’s ISIS affiliate, Egyptian state news agency MENA reports. The extremists attacked the al-Rawdah mosque in the town of Bir al-Abd, 25 miles from the North Sinai provincial capital of el-Arish, opening fire from four off-road vehicles on worshippers inside during the sermon, three police officers said. Victims were being transferred to local hospitals, they added, speaking on condition of anonymity because they weren’t authorized to brief reporters. They said the ISIS militants had blocked escape routes from the area by blowing up cars and leaving the burning wrecks blocking the roads. Egypt’s state news agency reported the casualty toll, citing “official sources,” revising it upward several times following the officials’ initial reports. MENA said 130 people were also wounded in the attack. Egyptians gather around bodies following a gun and bombing attack at the Rawda mosque, roughly 40 kilometers west of the North Sinai capital of El-Arish, on November 24, 2017. The attack was the largest single targeting of Egyptian civilians and the first on a large mosque congregation since the ISIS affiliate began its campaign of violence against the state following the military’s 2013 overthrow of an elected but divisive Islamist president. MENA reported that Egypt’s presidency declared a three-day mourning period for the attack, as President Abdel-Fattah el-Sissi convened a high-level meeting of security officials. Cairo’s international airport boosted security following the attack, with more troopers and forces seen patrolling passenger halls, conducting searches and manning checkpoints at airport approaches. Security forces have been battling militants in northern Sinai for years, but attacks to date have focused on military and police assets, although assassinations of individuals ISIS considers government spies or religious heretics are not uncommon. In September, ISIS militants ambushed a police convoy in Sinai, killing 18 police and wounding seven others in one of the deadliest attacks this year in the restive region bordering Israel and the Gaza Strip. The ongoing violence in Sinai shows the resilience of the militants there in the face of a years-long campaign to eradicate them by the military and police, which between them command far superior firepower, air support, heavy armor and larger numbers. Egypt is also facing a growing number of attacks by militants in its Western Desert, including an attack last month that killed 16 police, according to an official tally issued by the Interior Ministry. Security officials have told journalists that dozens more, including high-ranking counterterrorism officers, perished in the Oct. 20 attack some 84 miles southwest of the capital, Cairo. 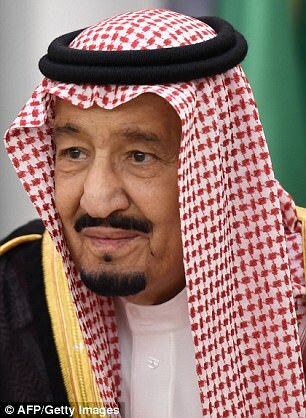 Saudi princes and billionaire businessmen arrested in a power grab earlier this month are being strung up by their feet and beaten by American private security contractors, a source in the country tells DailyMail.com. The group of the country’s most powerful figures were arrested in a crackdown ordered by Crown Prince Mohammed Bin Salman three weeks ago as he ordered the detention of at least 11 fellow princes and hundreds of businessmen and government officials over claims of corruption. Just last month, the Crown Prince vowed to restore ‘moderate, open Islam’ in the kingdom and relaxed a number of its ultra-conservative rules, including lifting a ban on women driving. 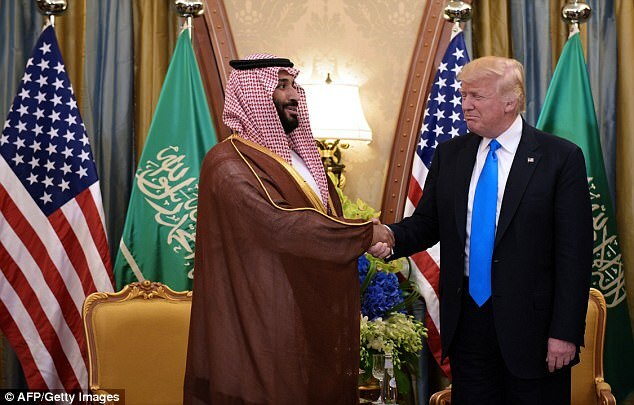 DailyMail.com can disclose that the arrests have been followed by ‘interrogations’ which a source said were being carried out by ‘American mercenaries’ brought in to work for the 32-year-old crown prince, who is now the kingdom’s most powerful figure. ‘They are beating them, torturing them, slapping them, insulting them. They want to break them down,’ the source told DailyMail.com. ‘Blackwater’ has been named by DailyMail.com’s source as the firm involved, and the claim of its presence in Saudi Arabia has also been made on Arabic social media, and by Lebanon’s president. The firm’s successor, Academi, strongly denies even being in Saudi Arabia and says it does not engage in torture, which it is illegal for any U.S. citizen to commit anywhere in the world. The Saudi crown prince, according to the source, has also confiscated more than $194 billion from the bank accounts and seized assets of those arrested. 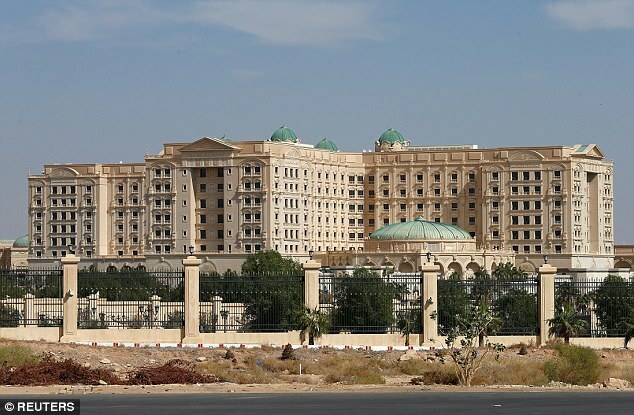 The source said that in the febrile atmosphere in the kingdom, Prince Mohammed has bypassed the normal security forces in keeping the princes and other billionaires at the Ritz Carlton hotel in Riyadh. 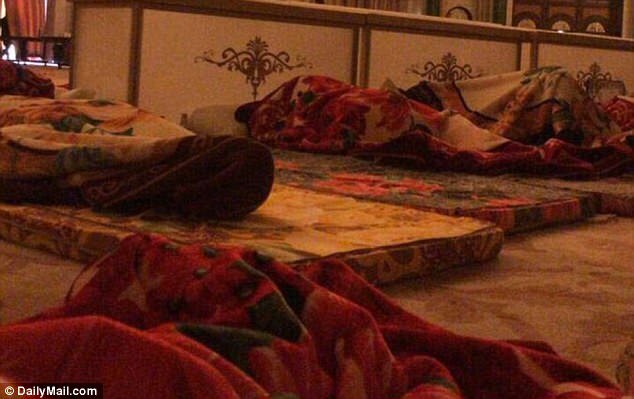 ‘All the guards in charge are private security because MBS (Mohammed Bin Salman) doesn’t want Saudi officers there who have been saluting those detainees all their lives,’ said the source, who asked to remain anonymous. ‘Outside the hotels where they are being detained you see the armored vehicles of the Saudi special forces. But inside, it’s a private security company. ‘They’ve transferred all the guys from Abu Dhabi. Now they are in charge of everything,’ said the source. The source said that Salman, often referred to by his initials MBS, is conducting some of the interrogations himself. ‘When it’s something big he asks them questions,’ the source said. 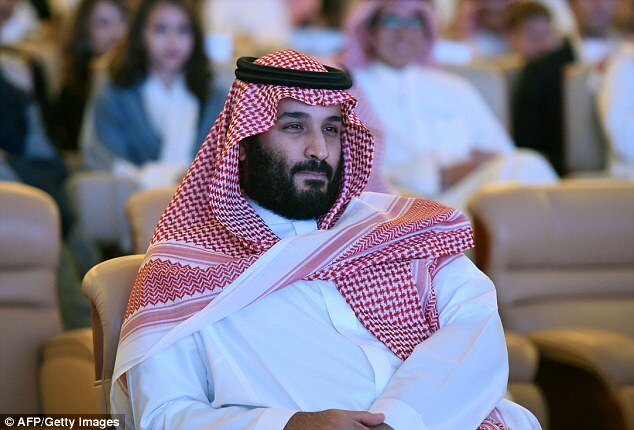 The source says the crown prince is desperate to assert his authority through fear and wants to uncover an alleged network of foreign officials who have taken bribes from Saudi princes. The source said that the name ‘Blackwater’ is being circulated as providing the mercenaries. The controversial private security company, however, no longer exists under that name and is now Academi. A spokesperson for Constellis, Academi’s parent company, denied the claims. The spokesperson told DailyMail.com that it has no presence in Saudi Arabia and does not carry out interrogations. ‘Constellis through Academi does not now or have we ever provided interrogative services,’ they said. 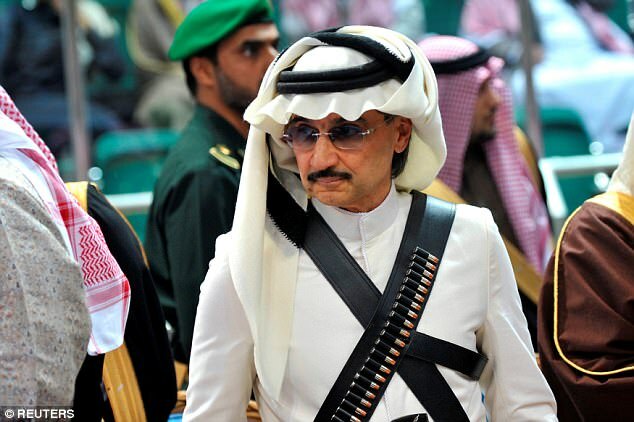 Saudi whistleblower Ahdjadid tweeted: ‘The first group of Blackwater mercenaries arrived in Saudi Arabia a week after the toppling of bin Nayef [Salman’s predecessor as crown prince]. DailyMail.com’s source claims the crown prince lulled Alwaleed into a false sense of security, inviting him to a meeting at his Al Yamamah palace, then sent officers to arrest him the night before the meeting.